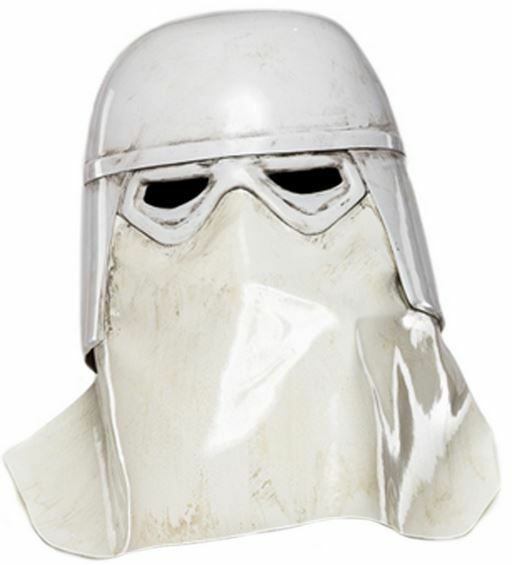 Produktinformationen "Star Wars Snowtrooper ESB - Helm 1:1 Standard Prop Replica"
Offered for the first time on its own are the Standard Line of the STAR WARS™: THE EMPIRE STRIKES BACK Imperial Snowtrooper Helmet Accessory. Weathered Style Features: Painted topical weathering mirroring the "used" and muddy look from the original artifact. As weathering is hand executed on an individual basis, final deco will be unique to each helmet. Note: The helmet included with the Imperial Snowtrooper Costume Ensemble features a built-in environmental fan system, a feature NOT found in this Standalone Helmet offering. Weiterführende Links zu "Star Wars Snowtrooper ESB - Helm 1:1 Standard Prop Replica"
Kundenbewertungen für "Star Wars Snowtrooper ESB - Helm 1:1 Standard Prop Replica"